What’s all this craze about BIGGER DEALS? Simply put … Bigger deals = BIGGER PROFITS! Whether you are after EQUITY or CASH FLOW, more of it is always a good idea. Here’s the thing. Bigger deals takes bigger capital, bigger skills and bigger effort. All of this means you need a BIGGER TEAM. You know we are huge fans of syndications as the best solution when it comes to solving this problem. In our opinion, syndications are the ultimate real estate investing teamwork platform. No matter what part you play on a syndication “team”, Dave Zook, successful syndicator and entrepreneur, has insights you don’t want to miss. 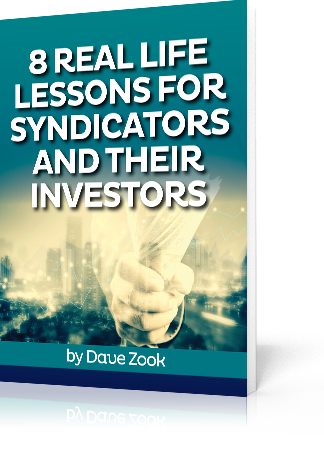 In this special report, Dave reveals his best tips so you can prepare to successfully use syndications for BIGGER PROFITS.